Last minute offers on Supetar apartments, villas and hotels. Book your accommodation in Supetar now and get up to 30% discount. Supetar is a little town on the island of Brac that delights with its simpleness and charm. Most of ferryboats and catamarans that link Brac to the mainland anchors in Supetar. Supetar is the island's biggest and fastest-expanding settlement with loads of villas, small hotels and low-cost apartments being constructed each year. Supetar is a perfect vacation spot for all those who want to take pleasure in a exquisite cultural heritage and natural attractions. It has been a preferred holiday spot for a number of years as a result of its stunning and lengthy sandy beaches, encompassed by evergreen forest. Beside the beaches and taverns, we advise you to explore the parish church of Mary Annunciation (18th century) with the bordering constructions like bell-tower Leroj and the church museum. Sports and dynamic holiday fans can enjoy mostly all water sports including scuba diving, swimming, paragliding, water skiing and similar, in addition to biking, beach volleyball, climbing, playing tennis, football, basketball and various other activities. If you are a culinary art fan and want to enjoy the specialties of the island of Brac in addition to the Dalmatian cuisine, check out numerous dining establishments and taverns at your disposal. Great connections of Supetar with the rest of Croatia and Europe, the attractive nature and great vacationer offer are the main reason why this traditional Mediterranean town is one of the most eminent traveler spots on the Adriatic, is the town of many happenings and the place for relaxed and unforgettable summer vacation. Last Minute holidays to Supetar could be your ideal solution to your late booking headache. If you have left booking your vacation till the last minute, Brac-Apartments has incredible late minute discounts and package holidays to match every demand. The page is refreshed frequently, so keep checking back in order to get the most current rates hot off the press. Cheap Apartment, great sea views town of Supetar price per day from £ 47 Apartment, decorated with style and equipped with all required home appliances, is situated in a stunning house surrounded by a big courtyard, where guests are provided with a cost-free car parking. Distance to the beach: 300 m. Distance to the restaurant: 300 m. Entertainment and Outdoor activities: TV, Satellite television. Air-conditioned accommodation, with terrace, great guest reviews town of Supetar price per day from £ 36 During your visit to Croatia, don't forget to explore the city of Supetar, which will surprise you with its numerous cultural and historical attractions. While there, book this awesome accommodation that overlooks the city and breathtaking Adriatic Sea and relax in its pleasant rooms equipped with all essential amenities. Entertainment and Sport: TV, Satellite television, radio. General details: air conditioner, heating, hair dryer, garden, terrace, balcony, barbecue, parking. Cheap accommodation, max 6 persons town of Supetar price per day from € 66 Book pleasant and affordable holiday apartment situated in a quiet part of Supetar, only 100 m away from the nearest beach. Entertainment and Outdoor activities: outdoor grill, Satellite television. Distance to the restaurant: 3000 m. Distance to the marketplace: 130 m. Distance to the beach: 100 m.
Cheap Apartment, max 4 persons town of Supetar price per day from € 47 Book accommodation outside the center of Supetar and enjoy the great family vacation in one of the most famous seaside resorts in Dalmatia. In addition to the spacious courtyard with a charming garden and a private parking, this apartment provide you with comfortable interiors, fully equipped with modern conveniences. General details: parking, garage. Distance to the restaurant: 550 m. Distance to the beach: 750 m. Distance to the shopping center: 500 m.
Apartment, 79 square meters, recommended by travellers ! town of Supetar price per day from € 40 Conveniently positioned in Supetar, this apartment is an excellent base from which to uncover this vibrant city. From here, guests can enjoy easy access to all that the lively city has to offer. Entertainment and Sport: outdoor grill, Satellite television. General details: barbecue, parking. 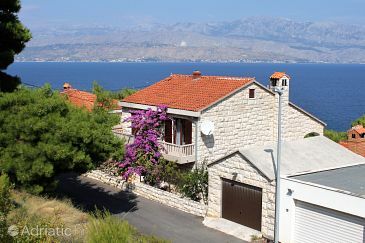 Accommodation near the beach, 120 square meters, Supetar town of Supetar price per day from £ 72 Spacious summer house overlooking the sea is an ideal accommodation for a holiday break in the popular tourist destination - Supetar. Aside from the proximity of the attractive pebbly beach and the city center, this accommodation provides you with a fully equipped, air conditioned interior and a private parking in the yard. General details: air conditioner, heating, fitness, terrace, balcony, barbecue, parking, outdoor shower. Entertainment and Sport: tennis court, kayak, canoe, TV, radio. 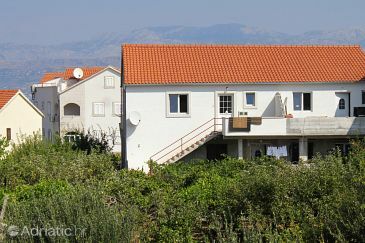 Accommodation, close to the beach town of Supetar The house is suitably furnished and the most important features are large balconies and terraces that will make certain you enjoy in privacy of your accommodation. 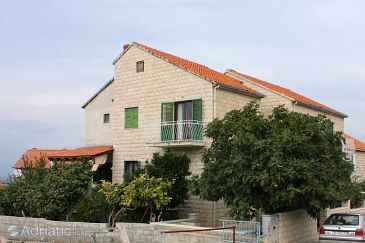 The house is also surrounded by lots of greenery so that you can really feel the Mediterranean ambiance in Supetar. Kitchen information: oven, washing machine, coffee maker, toaster, ironing board. Distance to the ferryboat: 1km. Distance to the beach: 400m. Distance to the bar: 500m. Distance to the train: 15km. 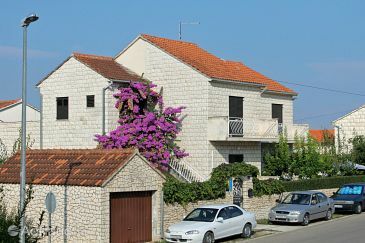 Accommodation, 115 square meters, Supetar town of Supetar Book accommodation outside the center of Supetar and enjoy the great family vacation in one of the most popular seaside resorts in Dalmatia. Aside from the roomy courtyard with a lovely garden and a private car parking, this house provide you with comfy interiors, completely equipped with modern amenities. Entertainment and Sport: TV, Satellite television, radio. 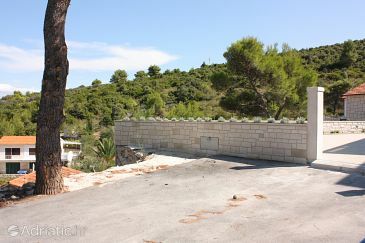 General details: air conditioner, heating, fitness, hair dryer, garden, terrace, balcony, barbecue, parking. Apartment, 25 square meters, 72 eur per day town of Supetar price per day from € 72 Apartment, 25 square meters, 72 eur per day. 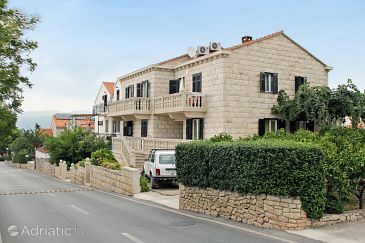 Distance to the marketplace: 50 m. Distance to the beach: 250 m.
Cheap apartment, 31 square meters, close to the beach town of Supetar price per day from € 22 Cheap apartment, 31 square meters, close to the beach. General details: barbecue, parking. Distance to the restaurant: 300 m. Distance to the shopping center: 100 m. Distance to the beach: 500 m.
Hostel D&D town of Supetar price per day from € 40 Situated in the real heart of Supetar with innumerable cafés and eating places withing a short strolling distance, Hostel D&D presents a quiet back yard with an outdoors terrace. Shared restrooms equipped with showers are at the guests' disposal. D&D Hostel's personnel will gladly help with organising day excursions and trips. 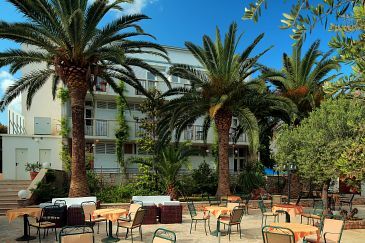 The on-site garden is perfect for relaxation in the shade of olive trees while using the property's Barbecue amenities. 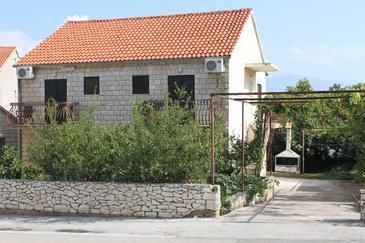 Pansion Palute town of Supetar price per day from € 30 Pansion Palute. Entertainment and Sport: mountain bike, Satellite tv. General details: air conditioner, heating, sauna, back yard, outdoors terrace, balcony, car parking. 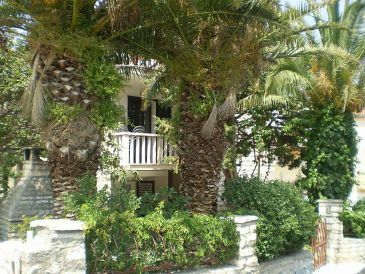 Tourist Resort Velaris town of Supetar price per day from € 42 Tourist Resort Velaris is set on Brac Island, a 10-minute walk from the centre of Supetar. It is located in a good-looking park with more than 16000 Mediterranean plants, and presents air-cooled rooms with satellite television. All rooms are comfortably furnished and have a sofa bed and a private toilet. A fridge is also provided. This resort features a spa area with a hot tub, a sauna and a massage area. Visitors can get active in the fitness centre or on the tennis court. Mountain bikes are available for hire as well. Resort Velaris’ dining establishment offers Mediterranean meals in the dining room or on the outdoors terrace.